Hallett Movers of Chicago is handling the relocation of the Central Library's 400,000-plus books, magazines and archival materials. The book collections are carefully shelved in their new location inside the Advanced Learning Library. 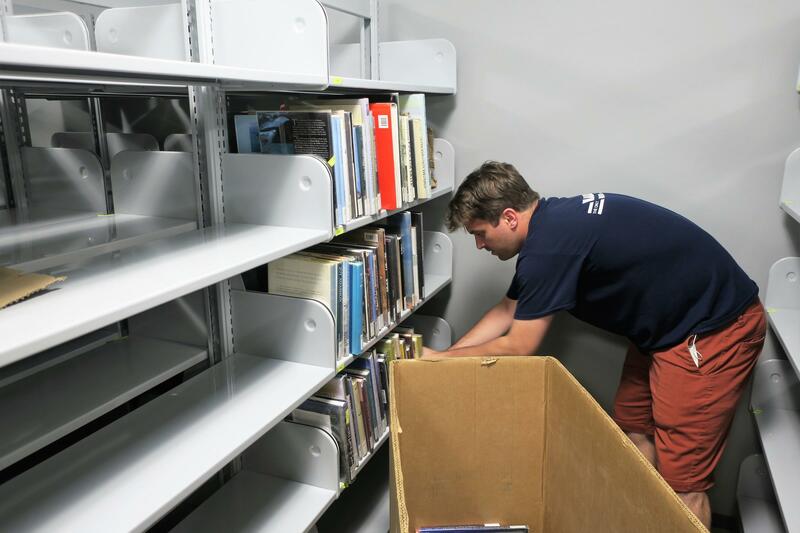 Library staff will make sure every book is in order before the new library opens on June 16. The Learning Pavillion on the second floor is for nonfiction materials. 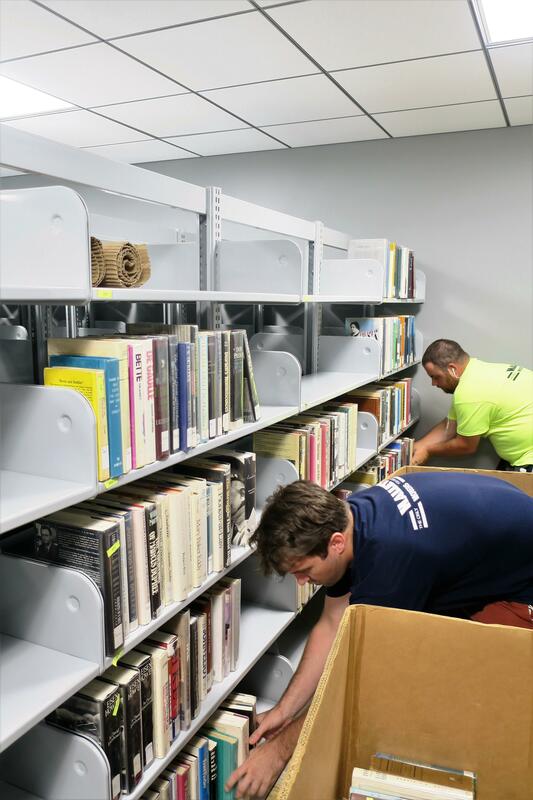 A moving crew unpacks and reshelves books and materials in the Advanced Learning Library. 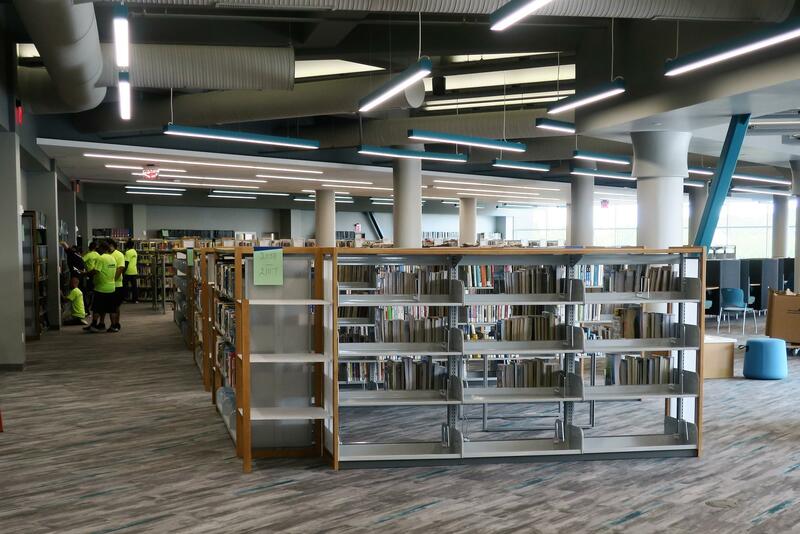 The new Advanced Learning Library in Wichita is filling up with books and new furniture as staff prepares for the grand opening in June. The biggest part of the move from the Central Library downtown involves transporting and shelving nearly half a million books, magazines and other materials. The Chicago-based Hallett Movers is handling the library move. A crew of about 20 people has been on site since mid-May. The Central Library closed to the public on May 6. The crew packs the books at the Central Library in custom boxes that sit on wooden dollies with wheels. A small moving truck carries about 35 boxes of books each trip to the Advanced Learning Library. Kent Hallett of Hallett Movers moves custom boxes full of books for unloading. Each truck carries about 35 boxes — about 3,000 books — each trip. “In our containers, we get three 36-inch shelves of books in one container," says Kent Hallett, owner of Hallett Movers. "When it comes to rare books or something like that, we just put one shelf by itself so nothing can harm it." Hallett estimates that each truckload carries about 3000 books. They make about 14 trips between the two libraries each day. The moving crew takes the boxes from the truck directly to the area in the Advanced Learning Library designated for each collection. It takes less than 15 minutes to empty the truck. 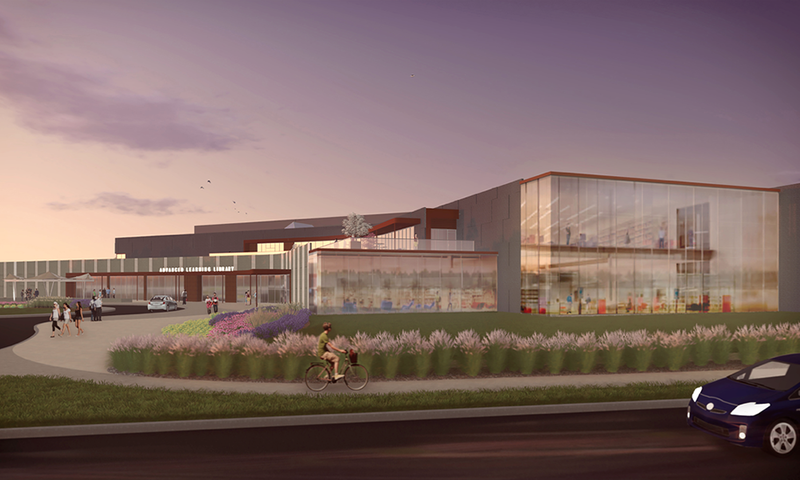 Planning for the Central Library relocation began about two years ago shortly after library and city leaders broke ground for the new $38 million Advanced Learning Library at 711 W. Second St., near McLean. “It's not like moving your home library from one place to another,” says Cynthia Berner, director of Wichita Public Libraries. She says they had to think through logistics as they created an inventory of the Central Library and a master moving plan. “The real challenge is we have things on four floors in the Central Library that are consolidating into two floors but it's not as simple as the second and third floors become the second floor. We have things going in all different directions,” Berner says. 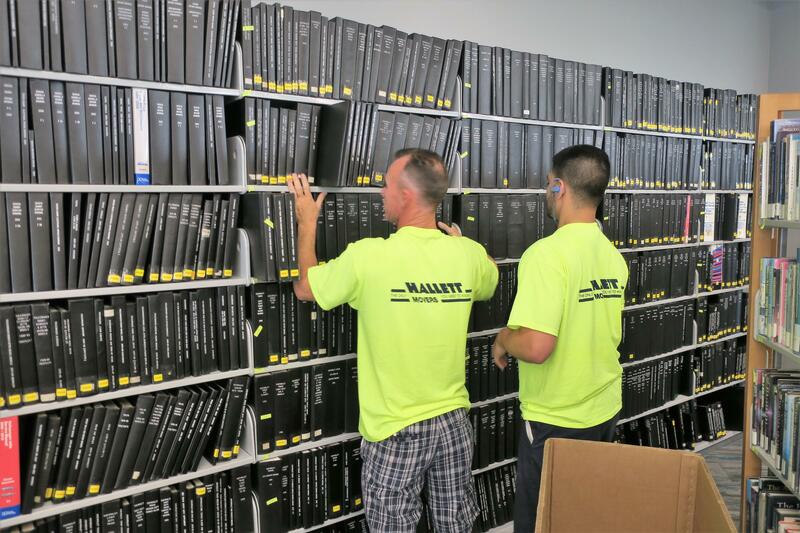 To make sure every book gets to exactly the right shelf in the right place in the Advanced Learning Library, Berner, her staff and a team from Hallett Movers mapped out the new building. Kent Hallett says that’s why the physical move is happening at a quick pace. “A little over two weeks ago, five of our staff came here from Chicago to measure and tag and plot the collection so that it would all fit on the shelves, spread out evenly,” he says. Mover Nick Baker unpacks a box of hardcover books in the nonfiction storage room on the second floor of the Advanced Learning Library. Nick Baker is on the moving crew. 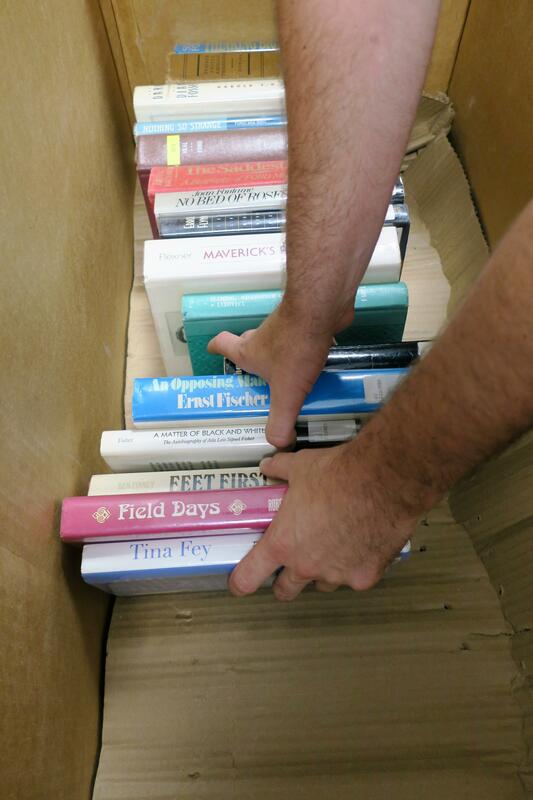 On this day, he is unpacking hardcover books in the nonfiction storage room on the 2nd floor. “I listen to a podcast usually in the afternoon and music in the morning to kind of break up the day like that,” he says. 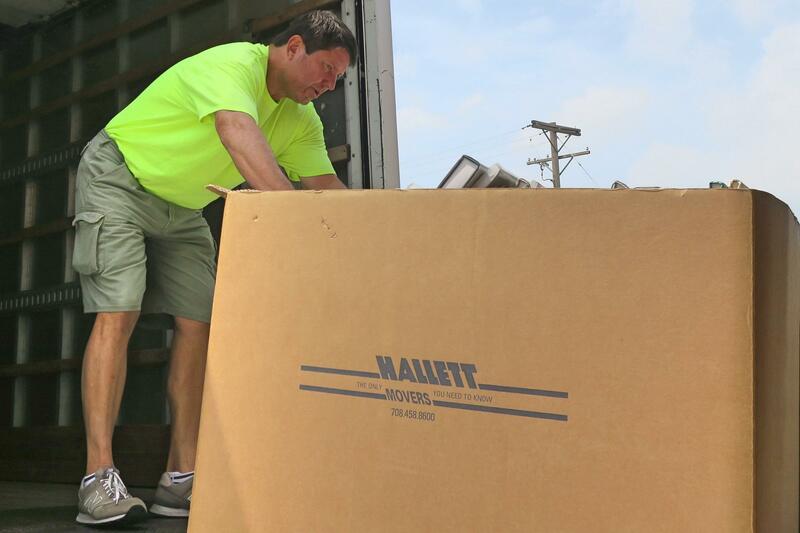 Baker has set up a lot of public and university libraries during the 12 years he has been with Hallett Movers which specializes in library moves. “New libraries are always fun just because the amenities are brand new. I really like the big TV downstairs. I feel like that’s something you don’t see a lot in libraries,” Baker says. The library staff spent the past year checking the condition of every item in the collections and removed anything outdated. “We will be really expanding our purchasing of new materials for the next several months. So we'll rebuild the collections in the parts of the subject areas where we needed that because we remove the outdated material,” Berner says. 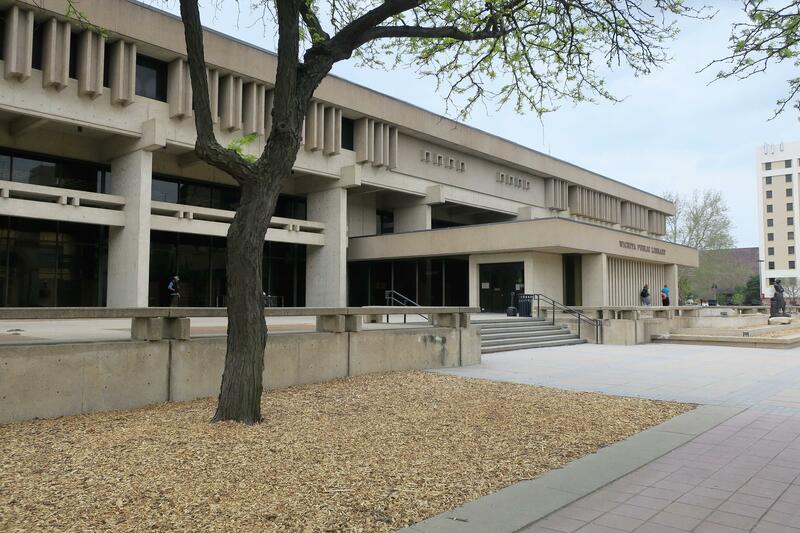 The Central Library in downtown Wichita closed to the public on May 6 after more than 50 years in operation. The Central Library on South Main Street served as the main branch for the Wichita Public Library system for more than 50 years. It also was a hub of community history. File cabinets are full of thousands of original library card applications. Delicate old photographs are being moved inside their storage containers to prevent damage. Berner says staff members found bronze plaques that the Wichita Police Department had stored at the library decades ago. “Police Chief Gordon Ramsay contacted me about a month ago asking about the bronze plaques. It was certainly not anything that I had ever seen all my years here," she says. "It took a lot of moving and reorganizing and digging very deep into what we call the vault which is our archival storage in this building [Central Library]. There were two plaques kind of propped up against the wall. We've been able to share those back with the police department." The moving company expects to wrap up its work by the end of the week. After the move is completed, Berner says public art and additional technology will be installed in the Advanced Learning Library. “We'll take just a couple of weeks to fine tune and get everything in the final formats, make sure our staff are sufficiently trained in all the things that are new and then we will be opening to the public,” she says. The library’s opening ceremony is set for Saturday, June 16. It will be a few months before the Central Library is completely empty and shut down for good. Berner says furniture and shelving were left behind and will go through a multifaceted surplus process. “There are some things that we know we can make good use of in our branches. Then we will let other city departments come in just in case there is anything they can use," she says. "Whatever is left will go through the normal city surplus process to ultimately clear the building for whatever its next use may be." Follow Deborah Shaar on Twitter @deborahshaar.To contact KMUW News or to send in a news tip, reach us at news@kmuw.org. 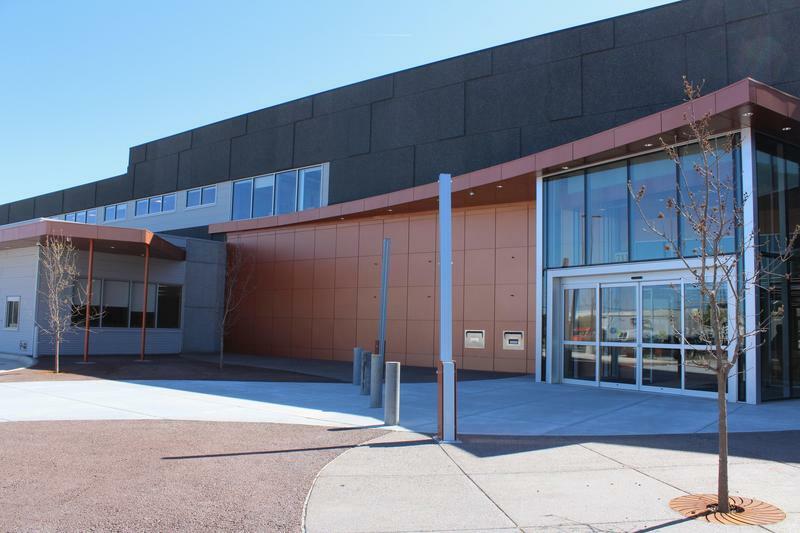 Wichita’s new Advanced Learning Library is nearing its grand opening. 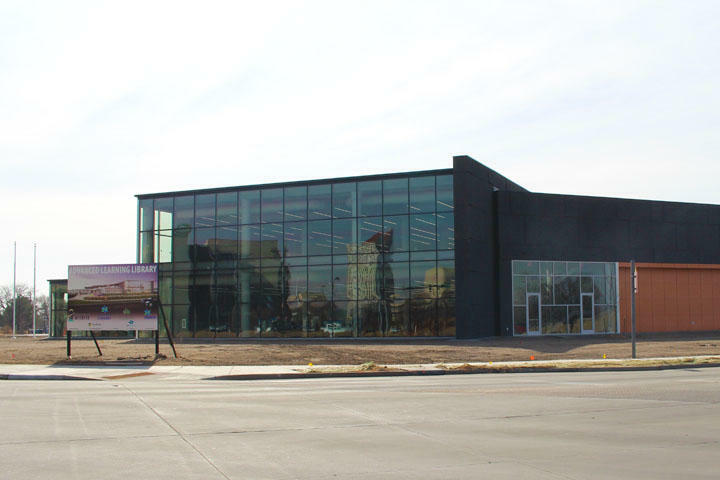 A state-of-the-art new central library is coming to downtown Wichita. City Council gave final approval Tuesday for the $37 million dollar project to be built near the corner of 2nd Street and McLean. Wichita’s Central Library downtown will close for good on May 6 after more than 50 years of service. Library staff members are preparing for the move to the new Advanced Learning Library which is set to open in mid-June. The modern new library at Second Street and McLean is nearly complete. Crews are now setting up the building technologies and installing hundreds of bookshelves. A moving company has been selected. Bids have been awarded for new furniture.